Across the United States evictions have increased in frequency and have become relatively commonplace in hot housing markets, such as New York City and Milwaukee. Once the eviction process is started it creates a record that often shows up in an eviction report, a document commonly used by landlords and property managers to access the viability of a potential renter. 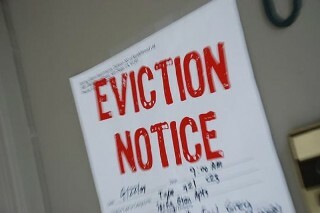 In the United States it is the opinion of some that eviction is a causal factor to poverty. It should be noted that evictions disproportionately affect African-American women. TenantScreeningUSA.com is a third-party tenant screening company specializing in tenant background checks for small to mid-size properties. With a highly trained staff, TenantScreeningUSA.com can remain focused on full compliancy with existing law as well as remaining involved with new or pending legislation.